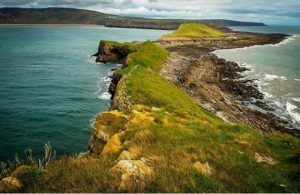 Why study in Wales? I can’t understand why anyone would ever want to come here. There are so many stereotypes about Wales and they’re all true. Firstly, the sun never shines, look at how dull and lifeless that blossom tree looks with no sun behind it. And speaking of grey, our cities are dull, grey concrete jungles. City Road in the centre of Cardiff proves just how bland and unexciting our capital city is. Our beaches are full of rubbish and are really boring, just not really worth visiting. 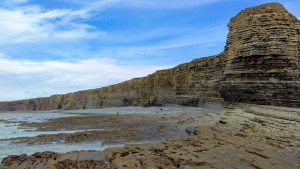 Nash Point is just a boring pile of rocks and Worm’s Head is nothing special. 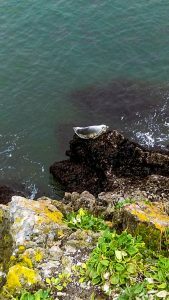 And there’s absolutely no interesting wildlife to be seen here, I totally didn’t take this seal’s photo off the edge of Worm’s Head, it’s just photoshopped.